Analysis of Tenet’s unique CoreBrand data shows that over time, brand strength and stock prices are connected. This compelling insight prompted Tenet Partners and Brandometry to team up and create a first-of-its-kind ETF offering that gives investors a unique opportunity to tap into the true value of corporate brands. There’s clear consensus that brands contribute significantly to corporate value. Brand valuation rankings and top 100 lists make regular appearances in financial media, dominating discussions related to branding. But has this information been of practical use to investors? Until recently, no. Estimates of valuation may be the de facto measure, but they do not appear in financial filings and have been largely overlooked by analysts and investors when evaluating stocks. Investment vehicles based on brand value, active or passive, have been absent from the markets – a clear opportunity for innovation in the equity marketplace. Brandometry, in concert with Tenet Partners, set out to develop a simple but powerful investment vehicle for the exchange-traded fund market: an ETF based on ongoing quantitative analysis of brand contribution to corporate market valuation. 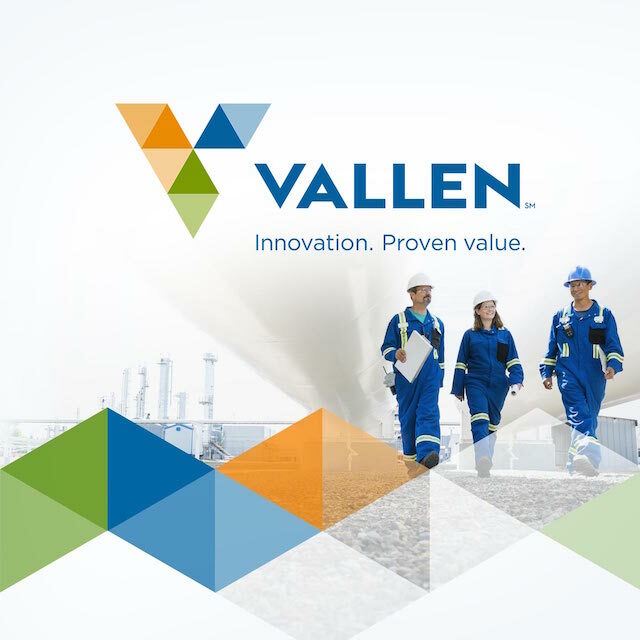 This investment product would be an entirely new opportunity for investors to unlock value hidden on balance sheets in the form of the corporate brand. The innovation process began with a deep dive into Tenet CoreBrand and market data by paired, collaborative teams of specialists from the financial and brand measurement industries. Their mission was to find a way to link brand metrics to stock price in a meaningful way. As with many innovations, the solution was simple: determine the deltas for brand strength and a stock price year-over-year and correlate them to identify companies that offer substantial value. 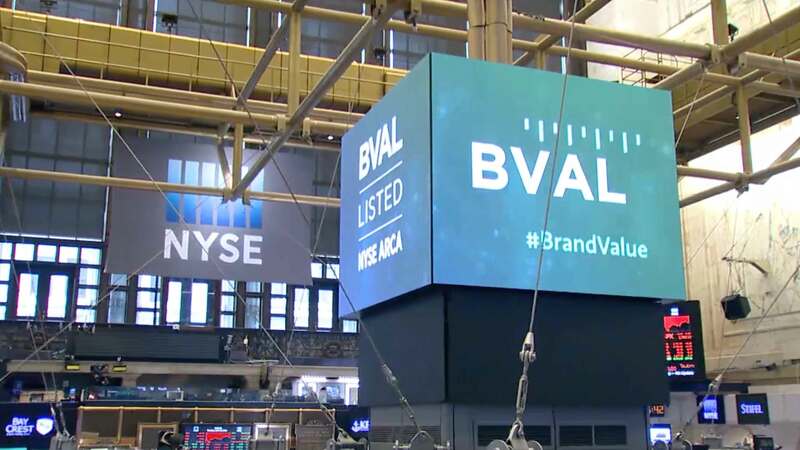 There are of course a few more screens under the hood of the BVAL ETF, but the core idea that brand strength and stock price are related is simple, elegant and rich in the potential for value creation. The opportunity to invest in, innovate and create a forward-looking brand in the fastest growing part of the investment industry captures the essence of the capabilities and full talents of Tenet, from unique data and analytics to creative design and strategy. Creating a brand for Brandometry was a chance to showcase what we’re able to accomplish. Like many of the service-led startups in which Tenet invests, the Brandometry team needed an agile process to quickly and efficiently develop a new brand. The Tenet design team jumped into action and within weeks developed a complete brand to represent this innovative company, its tracking indexes and ETF properties. 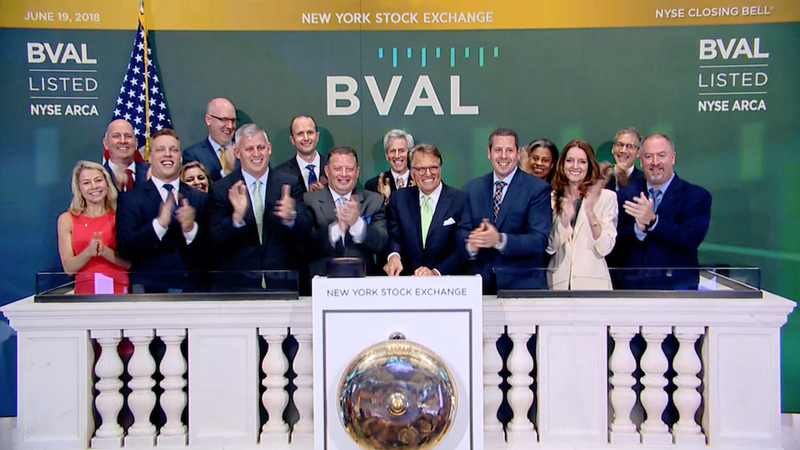 In late June 2018, one year after the BVAL ETF was launched, a spotlight was shown on the brand when representatives from Tenet and Brandometry had the honor of ringing the New York Stock Exchange closing bell. 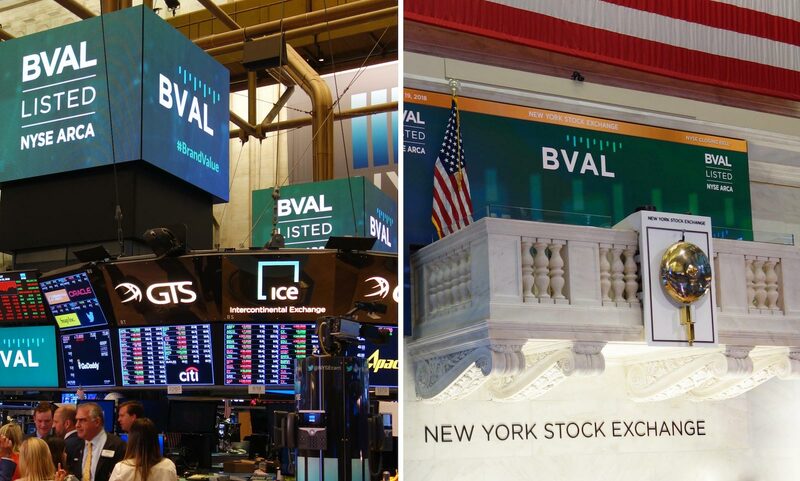 Tenet created branded assets for all of the touchpoints at the NYSE, producing a seamless and visually exhilarating experience that fully showcased our work.